The very first word that popped into my head after finishing this novel was "strange." That's a positive in my reading universe, since I actually prefer books that are a fair distance from ordinary. I'm not going to do plot in any big way here, because once again, to tell is to spoil and I don't want to do that. What I will say is that readers who are expecting a horror novel or thriller based on the back-cover blurb may want to think twice, because it is neither. The novel opens in the late 1990s, in the small midwestern town of Iowa, Nevada at the Video Hut where young Jeremy Heldt works as cashier. Normally it's a routine job -- people turn in their videos, pick another one, and move along. But all of that is about to change, when more than one person tells Jeremy that there's something on the tape they'd rented. Jeremy takes a look at She's All That, and discovered that someone had indeed "transferred a scene" onto the movie. At first his reaction is "who cared," but then he's reminded by another customer that there was something weird about the film Targets and decided to take a look for himself. The woman who'd first reported the anomalies was curious enough to take detailed notes about what she'd seen, as did Jeremy's boss when she watched. Unlike the customer, though, Sarah Jane actually recognizes the location "beyond question," and makes a trip to the place where she meets the current owner. Her visit is where this story really begins, and with that I will say no more. I can see why some people have been disappointed; many readers thought the novel should have moved along different genre lines, because the first few chapters set up a scenario not unlike several horror novels I've read. I'm not at all disappointed though, because a) I tend to go into a book without expectations and b) again based on reader negatives, I like the move in and out of the present because it makes for a more fully-developed story. 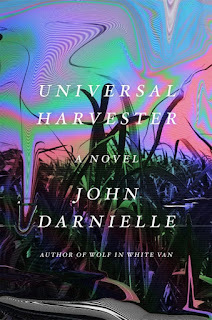 In the long run, I found Universal Harvester to be mainly about absence, loss, and those who are left behind who are often stuck in a sort of purgatory to cope in any way they can. Another thing that comes out in this story is that we may think we really know someone, only to discover that we may never actually truly understand them. And finally, I also saw in this book a story about a disappearing way of life as time and technology make their marks on society and on individuals as well. 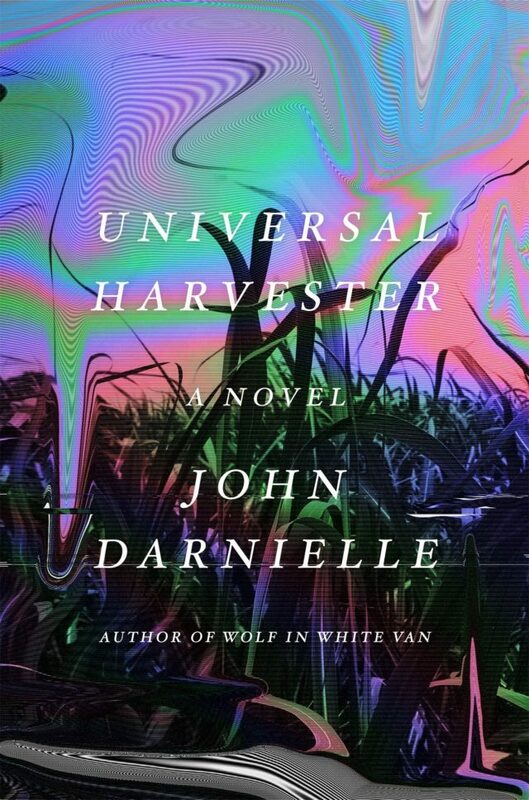 I enjoyed this book, and while I have to agree that it does tend to meander a bit, when all is said and done it is a poignant novel, and despite the fact that it turns out not to have been a horror novel, it's frightening enough in its own way. The best way to read it is to keep an open mind and concentrate on what it is, rather than on what you think it should have been.